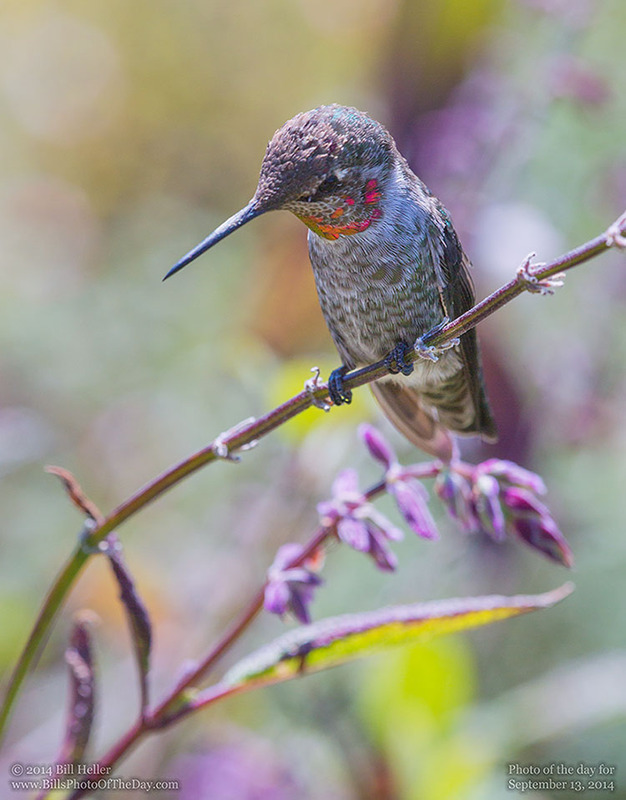 This is a juvinile Anna's hummingbird who was quite friendly last weekend. You can't tell it from this thoughtful pose, but he was quite active and playful. He would buzz me and move between about five favorite perches. At first I was following him, but before too long it was hard to tell who was in the lead, as I started to walk away to let him get back to enjoying his beautiful purple flowers he landed right in front of me. I think he enjoyed our encouter as much as I did.